Happy August everyone! Although August is a month which gets us thinking about the end of Summer, it definitely doesn’t mean it’s the end of Summer. I still have one more holiday to go on too (yessssss! ), which see’s me sailing off on a Greek cruise in September. So, I wanted to share with you today the hair products which have been looking after my hair all Summer, which I literally can’t recommend enough. First of all, I’m going to start with a brand I’ve become very familiar with through my job as a Beauty PR Manager – Philip Kinglsey. It’s one of the biggest hair care brands we retail, and they are known for being a specialist tricologist brand, caring for the health of hair and the scalp. 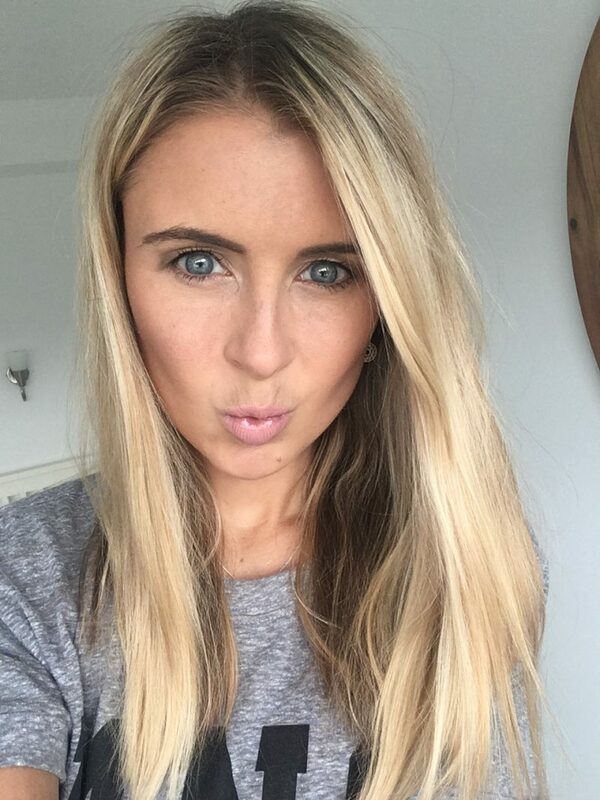 I’ve used their Elasticizer before after hearing it was beauty influencer Lydia Elise Millens beauty must-have, and since then swear by it for strengthening and caring for my hair! I LOVE it when a beauty blogger introduces me to a must-have product. 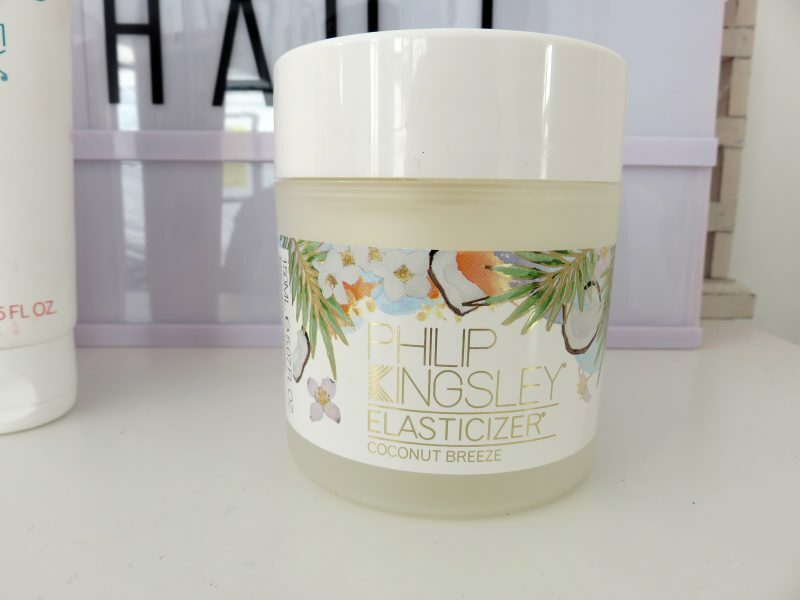 Anyway, for the Summer season, Philip Kingsley have launched a new edition to the iconic Elasticizer: the coconut breeze elasticizer. In a nutshell, its a deeply conditioning pre-shampoo treatment, which adds elasticity, manageability, bounce and shine. You simply dampen your hair with water and apply Elasticizer in sections to mid-lengths and ends, and then just cover hair with a shower cap or towel. You leave for 10-20 mins as the heat created helps the nutrients to be fully absorbed. Then, you just rinse and shampoo/condition as usual. I find it really helps condition, strengthen and treat my hair when I get in the habit of using it once a week! The packaging on this Summer edition is just beautiful; it looks soooo pretty in my bathroom. It has a rich scent of coconut, jasmine, almond and vanilla, so its become even more of a dream to use than the original. 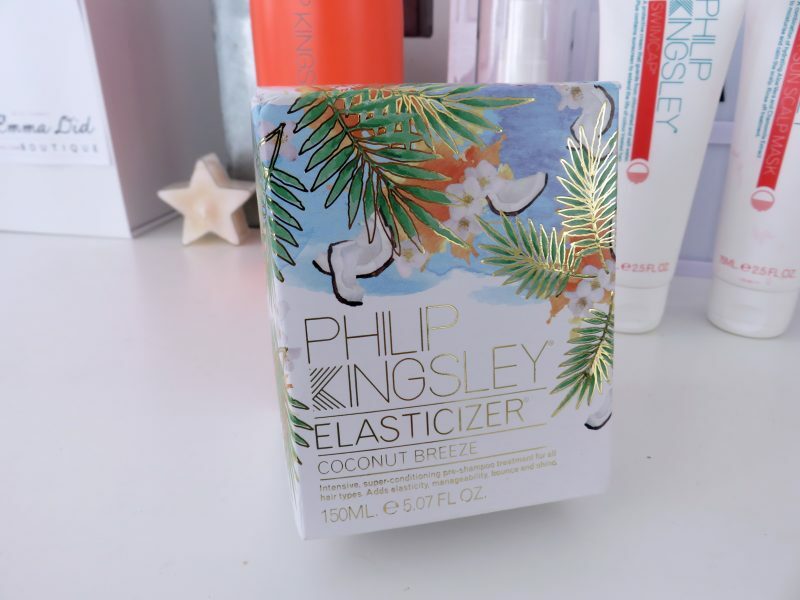 Another set of products I’ve been using this Summer – and especially during my recent holiday to Lanzarote – are the new Summer Solutions products from Philip Kingsley. I’ve been using a combination of the Sun Shield, Swim Cap and After-Sun Scalp Mask – 3 essentials to look after your hair and scalp with the extreme heat from the sun, and chlorine from the water. 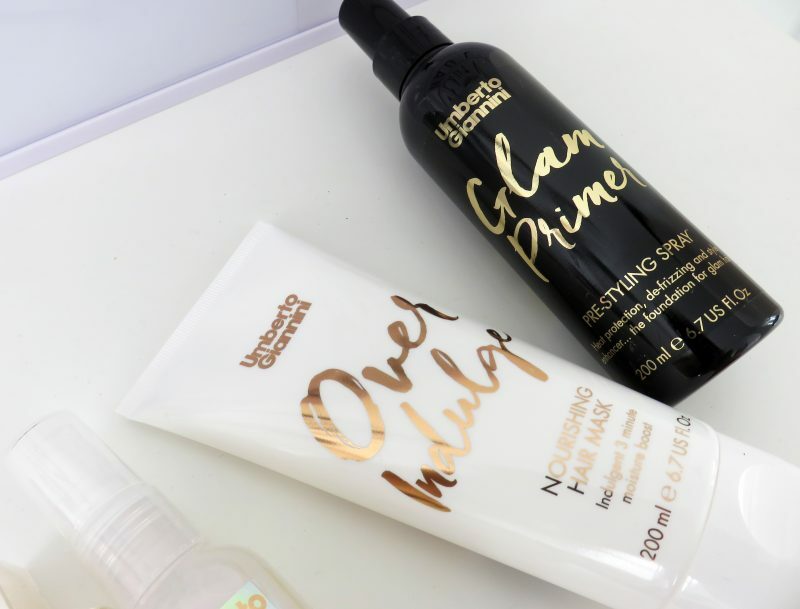 When researching into these products before trying then, I learnt that UV rays oxidise the hair in a similar way to bleach, weakening its protein structure and decreasing elasticity. This is why sun exposed hair is left dry, rough in texture, and prone to breakage. I’m also prone to using a lot of heat on my hair too even when I’m in the UK (I mean, who can live without straighteners? I’d be lost without mine, and my curling wand! If you want to see a guide on the best hair straightener flat iron, the link shows you a handy buying guide). 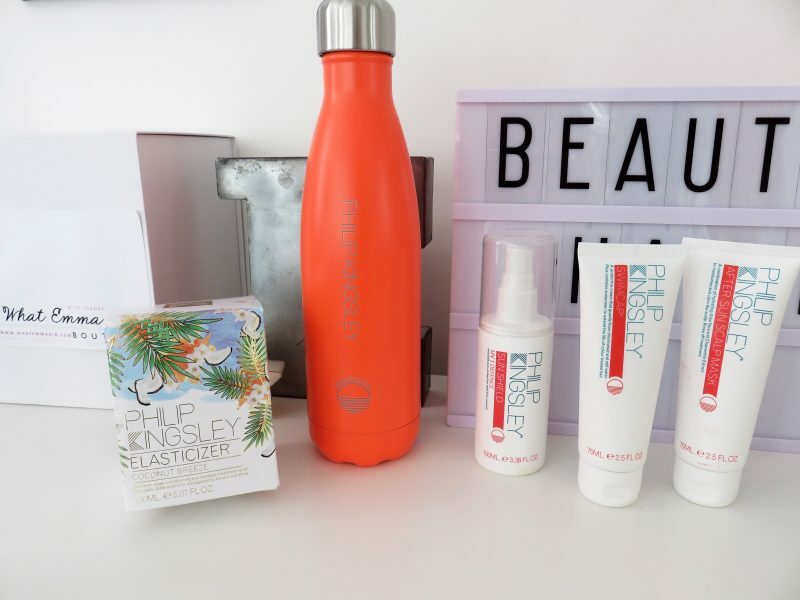 Therefore, if you’re anything like me and expose your hair to heat and damage, protection is key if you want to keep your hair looking healthy – without the need to chop off those inches when you return from holiday! The Sun Shield spray was a god send on my recent holiday, as my hair can burn just as easily as my skin. Because it’s bleached, it goes super dry when exposed to the sun, but this lightweight spritz acted as a saviour nourishing mist, smoothing the hair’s outer cuticle, adding shine and offering prevention from the formation of split ends and breakage. Swimcap is the next product I was using, and its a product which can sound confusing, as no, it isn’t a physical swim cap. The cult classic cream is a favourite amongst swimmers due to being water resistant, guarding against chlorine, saltwater and UV damage, all while deeply hydrating and conditioning the hair. Swimcap helps to extend the life of colour treated hair, which was one of the reasons I wanted to try it out and apply on my holiday. Last but not least, the after-sun scalp mask was also brought a long to soothe and calm my sunburnt scalp. It doesn’t matter how much I try to fully protect my scalp, I usually manage to burn it a little bit due to my hair being so fine, making it easy for the sun to attack it. This cream is packed with Aloe Vera and Chamomile Extract to soothe, condition and hydrate the scalp after sun exposure, and its also ideal for dry, sensitive scalps too. 1. 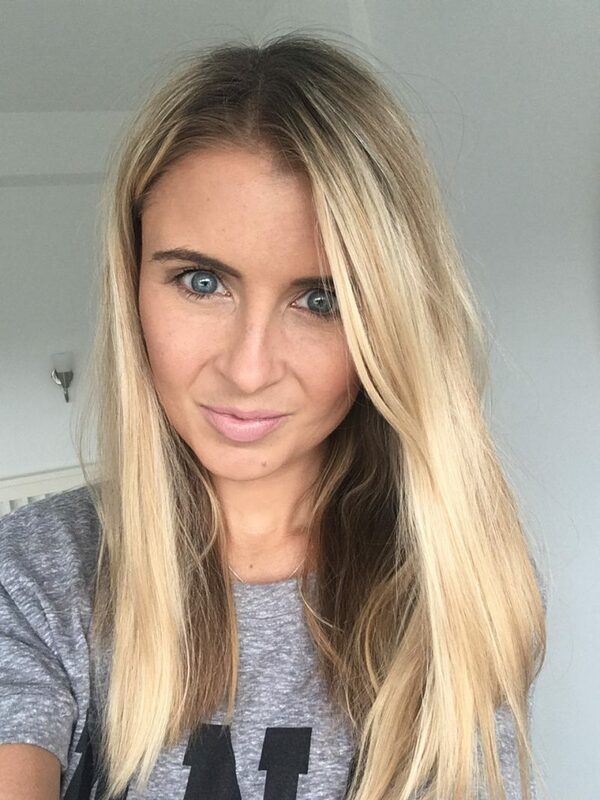 Umberto Giannini Nourishing Hair Mask – I’ve been using this 3 minute deep conditioning mask for a couple of weeks and its helped my frazzled blonde hair gain a bit of life again. It’s a real rich formula which works intensively to soften, nourish and deep condition the hair. I find when I use it, my locks are super manageable and all my fly away frizzy bits lie flat and shiny. Love love love! 2. Umberto Giannini Spoil Me Hair Oil -This luxury hair oil is pretty special to say the least. It’s so luxurious when you run it through damp hair, and then blast hair dry and watch the oil protect against heat, nourish the hair from root to tip, smooth it down, add a glossy shine and give control of my locks. Packed with Argan Oil, I feel this product repairs the look and feel of frazzled, damaged strands. 4. 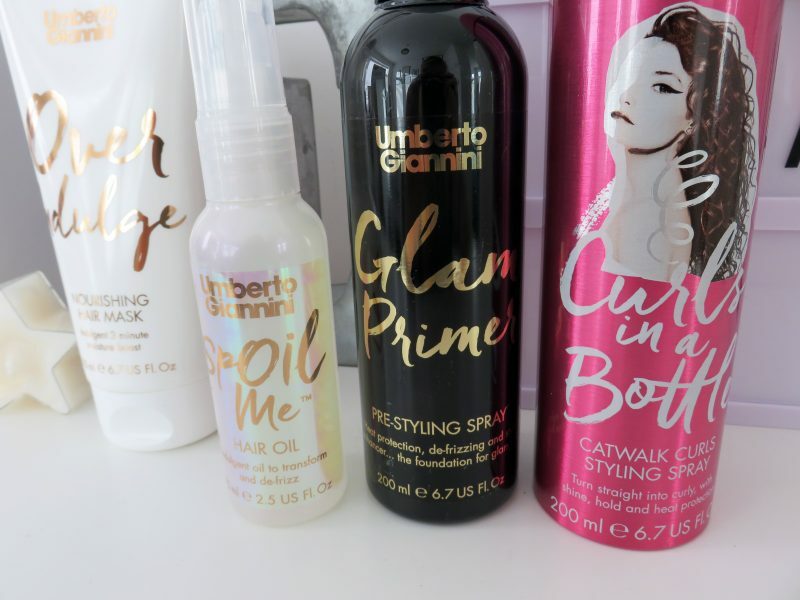 Umberto Giannini Curls in a Bottle -Although this spray looks like a hairspray, it’s actually so much more than a hairspray. And no – you don’t need curly hair to use it! You basically spray it onto strands of damp hair, section at a time, then blow dry. Then, curl your hair using a wand (or preferred tool) and then finish with a spray of the Curls in a Bottle. The spray helps the hair to curl more easily, last longer, hold the look more evenly and smooth out any frizz. 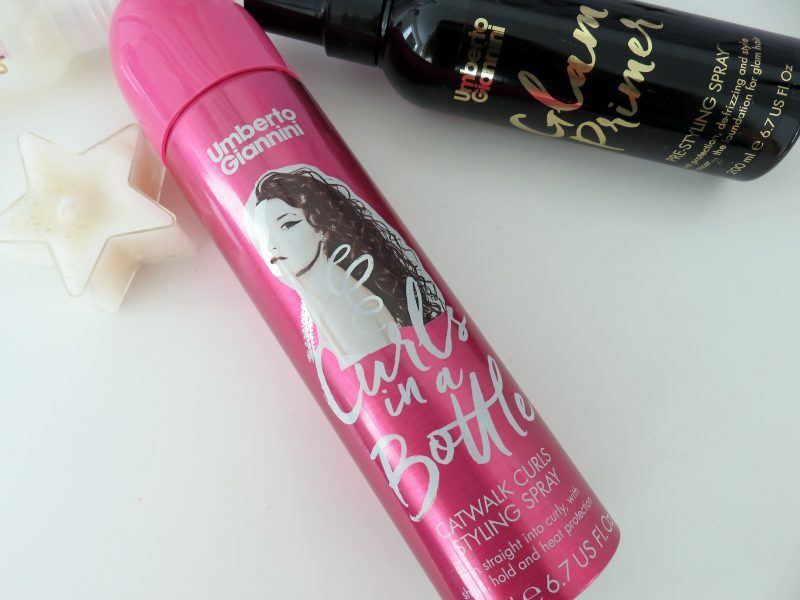 If you want perfect glossy curls, this is the spray for you!